Back in October I wrote an owner's review of my Saab 9-5 Vector 2.0 TiD4 Sedan. Now, after having the car for five months and driven 10 000 km, it's time to do a recap of my experience up to now. Most of the 10 000 km have been on winter roads and so this time I will be focusing on how the car performs in winter. Before winter set in I got an electric block heater and interior heater installed. So most of the time during winter I start a pre-heated car. But now and then I also start the car without having used the electric heater. The coldest temperature I have recorded when starting without pre-heating the engine, was -32 degrees Celsius (-26 Fahrenheit). The car started without any problems. I have also started the car in -30 Celsius (-22 Fahrenheit) driven for 10 minutes, parked the car for several hours and started again in -30. No problem. When starting in low temperatures the car has a raw engine noise and the transmission stick can feel sluggish, but as soon as the car warms up, it drives like normal and sounds normal. My car came with something called QuickHeat, which is an electric heater fan that helps heat the cabin quicker. My experience is that it works very well. The cabin heats up fast and ice on the front window melts away like on any other Saab. And so far I haven't noticed any critical drain on the battery either. Finding a comfortable sitting position is easy. The standard part leather and part textile seats in my Vector are good. The adjustment possibilities are excellent and the seats give good support and have comfortable cushions. On cold winter days the heated seats feel nice for a cold body. I was a bit anxious to see how the technological gadgets like keyless entry would perform when the temperature was far below zero. To my delight I have not experienced any problems so far. But to lock the doors I have learned that you may have to remove your glove and use your bare finger to make it lock. 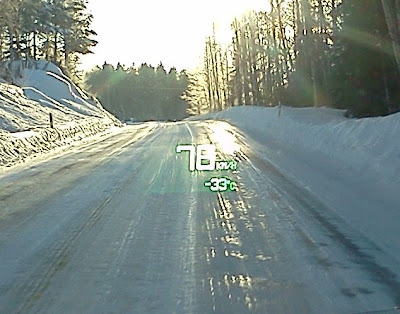 The Head-Up Display also works perfect, at least when you give it time to warm up first. The traffic sign recognition system keeps on feeding me with information about speed limits (I wish I could turn it off...), and I assume the lane departure warning system also still works. But that system has been turned off for months now. And I love the harmon/kardon stereo system. The sound quality is perfect and the flexibility with USB, AUX, HD, CD, radio with time-shift function is outstanding. I haven't used the navigation system very much, but it has guided me well the times I have used it. 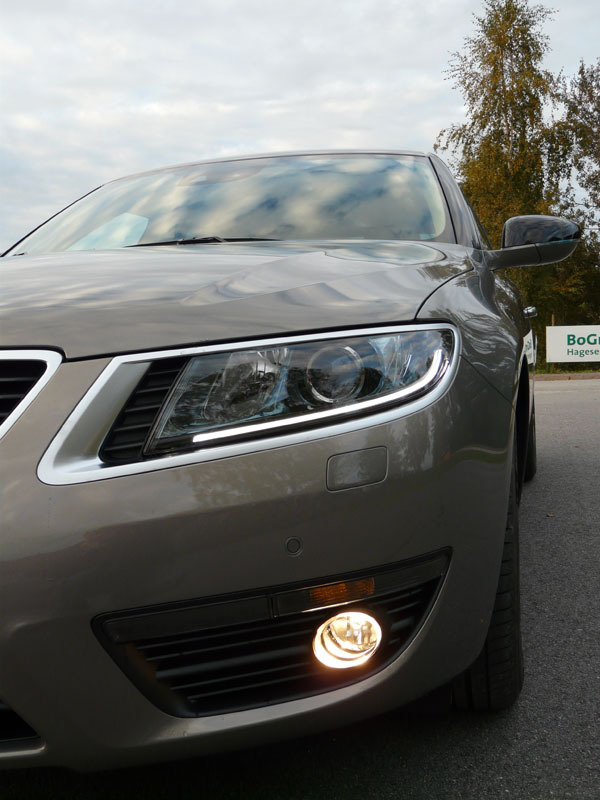 The Saab 9-5 is a large car with a length of over 5 meters and a width of about 1,9 meters. But as noted in many tests, it doesn't feel like a big car when you drive it. The cabin feels very intimate and the car seems very controllable despite the big size. Except for when you're parking the car in a cramped parking lot. And even worse when you try to back out of a cramped slot. Then you notice that this is a large car. Parking sensors front and rear are almost a necessity. And a backup camera would have been nice. 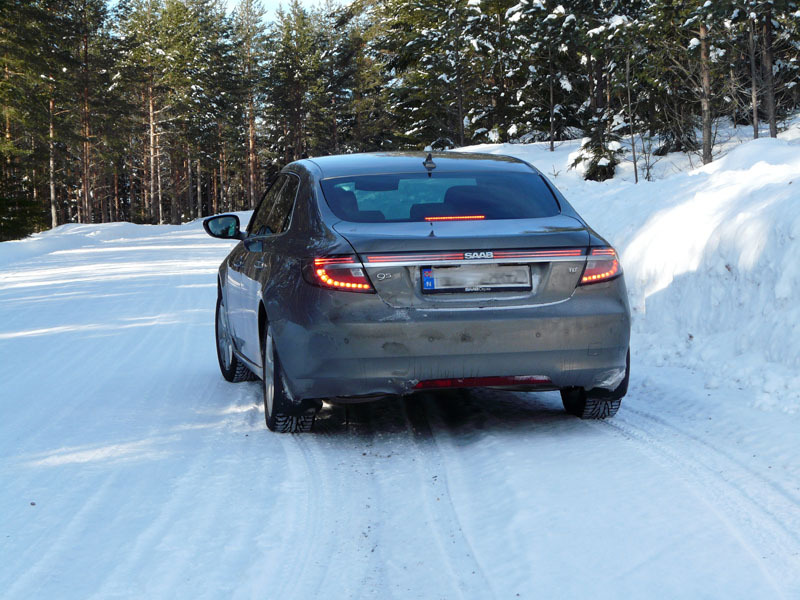 When the snow is pouring down and the road is slippery, the 9-5 reveals that it's a car set up for Nordic winters. It feels extremely safe. 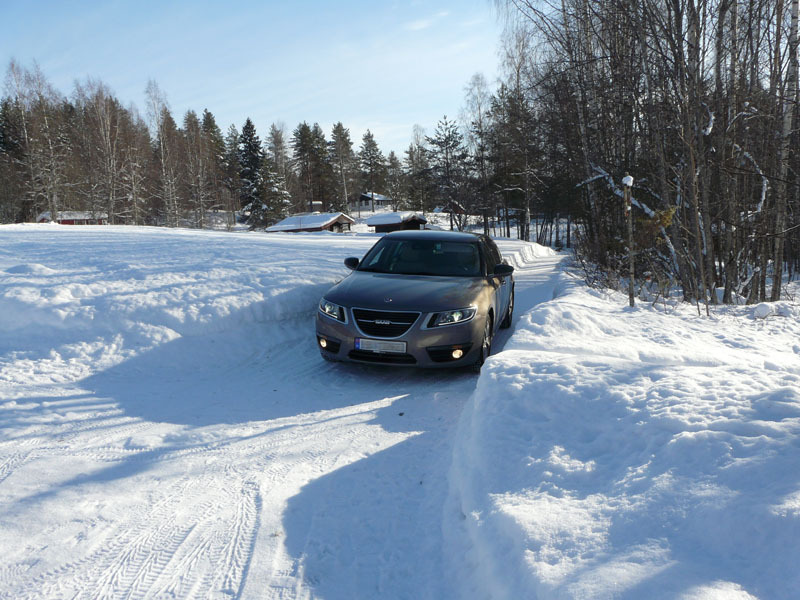 When driving on snow and ice, I have never before felt more safe than I do in my Saab 9-5. Even under harsh winter conditions the car feels well balanced and extremely stable. My car has only front wheel drive, but it still has an excellent grip (I got the Nokian Hakkapeliitta R studless winter tires). If the car, on a rare occasion, starts to skid, the balance of the car and the suspension immediately corrects the skid. And if the skid is more severe, then the traction control and/or the electronic stability program (ESP) keeps me on the road. I feel extremely confident (maybe even a bit too confident!) when sitting in my comfortable and quiet Saab when the snow is falling and the roads are slippery. 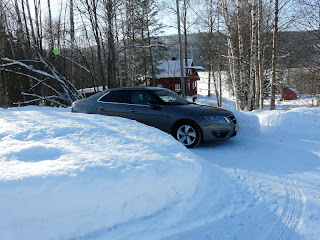 The car does a good job passing through loose snow. 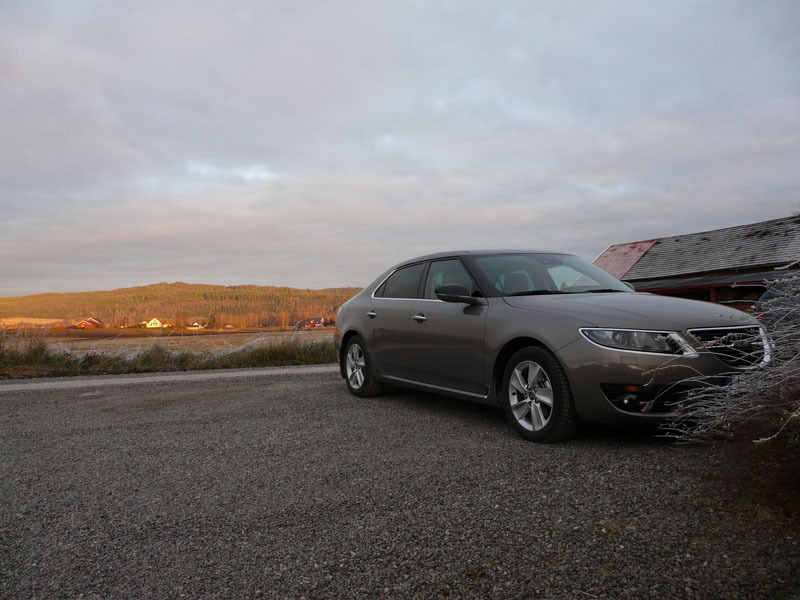 Compared to my previous car, a 2003 Saab 9-3 SportSedan, the new 9-5 seems more capable. But when driving in loose snow that whirls around the car, it packs a lot of snow in the wheel arch liner! And especially at the rear. Loose snow also packs along the inside of the rear rims and can lead to vibrations. So the 9-5 requires that you clean your wheels for snow if you want a vibration free ride. 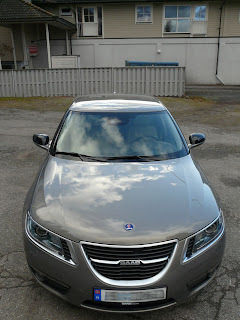 In conclusion, I can highly endorse the new Saab 9-5. The performance during winter is second to none. 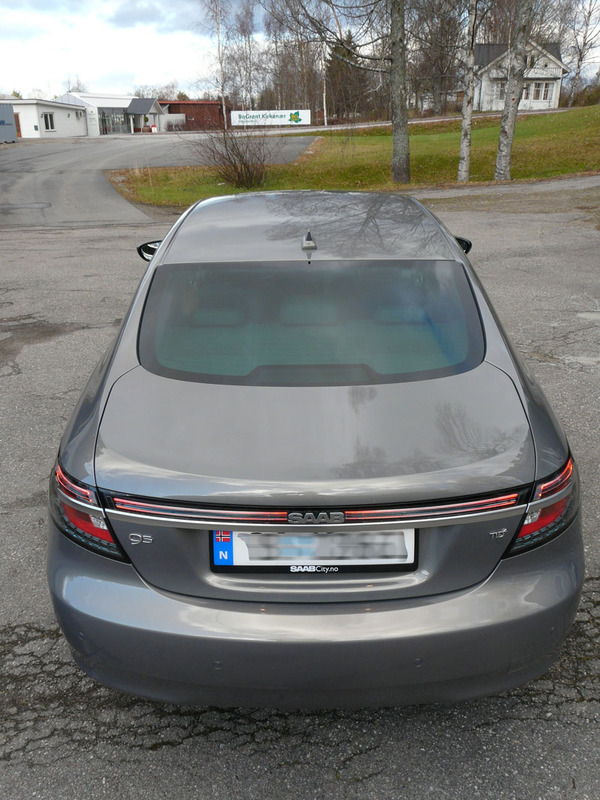 The good old Saab slogan "Vinterbilen" (The Winter Car) can also be used on Saab's latest car! A few people have asked me if I can take some pictures that show the interior ambient lighting in the new Saab 9-5. This proved to be easier said than done. My cameras are just not good enough to make the ambient lighting justice. But nevertheless here I present the result. Just remember that a picture can never convey the real colours or the atmosphere. First some facts: The ambient lighting consists of several LED lights that are supposed to create a warm atmosphere inside the cockpit. 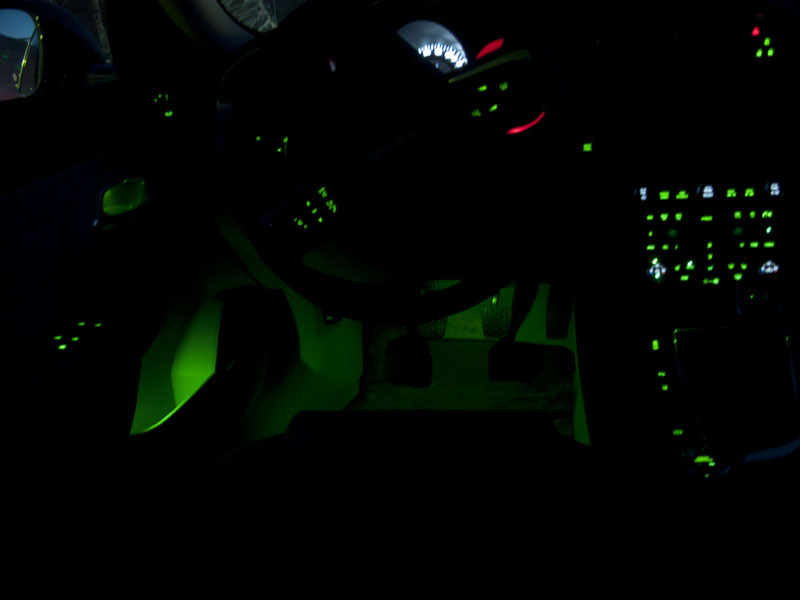 There are LEDs that lights up the door openers, the side pockets on the doors and the footwell on the driver's side. All LEDs are green. 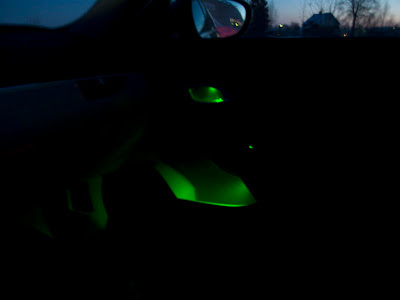 Here's the lighting on the driver's door and footwell. Another of the front passenger door. That's the best my camera could do. My advise is to go to your dealer and take a test drive when the dark has fallen from the sky. Get this guy into a Saab 92X!!!! Here's a clip of PG Andersson at Rally Sweden. PG Andersson proved in Rally Sweden that he can keep the same pace as the world rally stars like Sebastian Loeb, Mikko Hirvonen and Petter Solberg. PG won four stages, but due to some technical problems and a few mistakes, he couldn't compete for the victory. 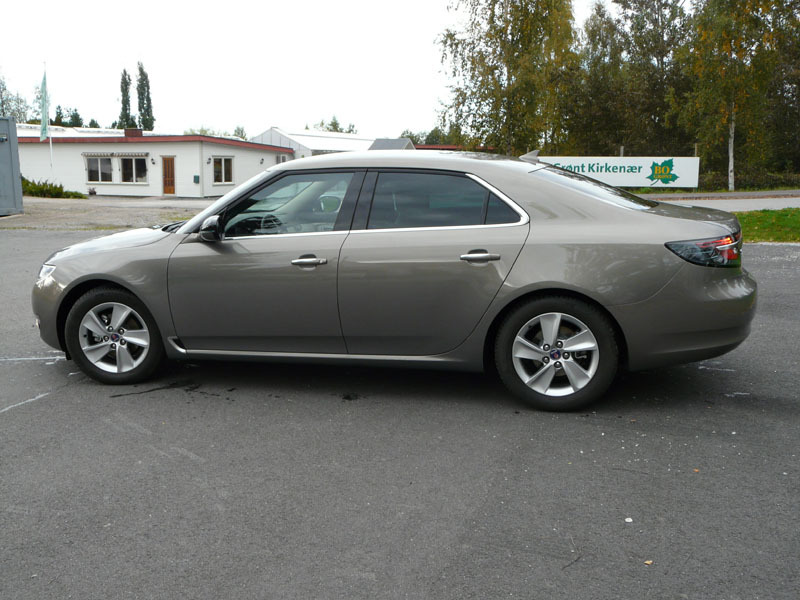 But I still say: Get this Swede into a Saab 92X! BTW; Did you know that Saab is the manufacturer with the most wins in Rally Sweden? It's been a long time since my last post. The past weeks I have had an eye infection and therefore I decided to take a break from staring too much into a computer screen. I also got an unwelcome break from driving my Saab more than necessary. 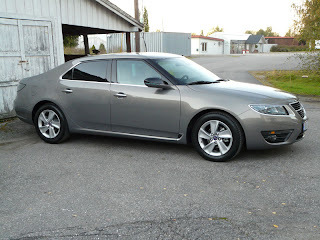 But I have had much time to think and dream about what I want in my next Saab. 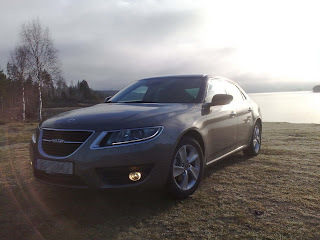 I am a humble Saab enthusiast who admire the achievements Saab has made the past year. 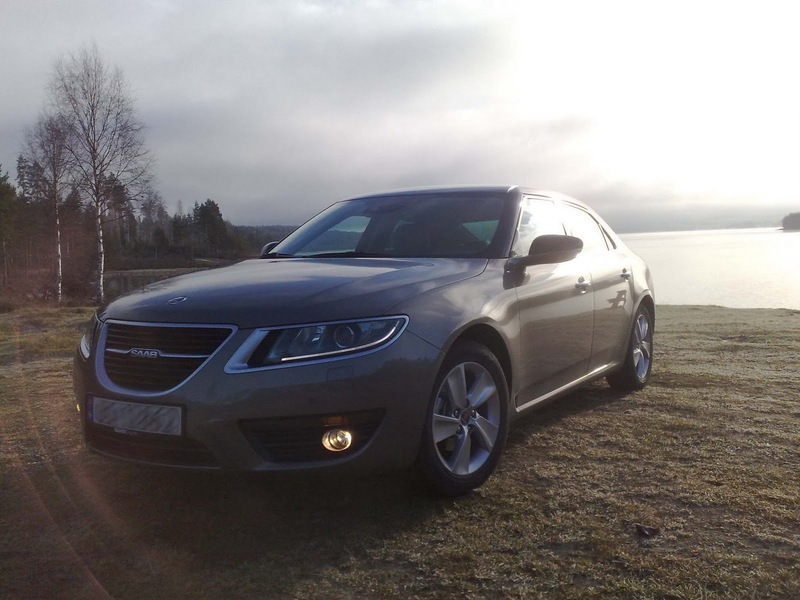 I don't expect Saab to go from being a restrained division in a global automobile company to a technology leading company in one or two years. 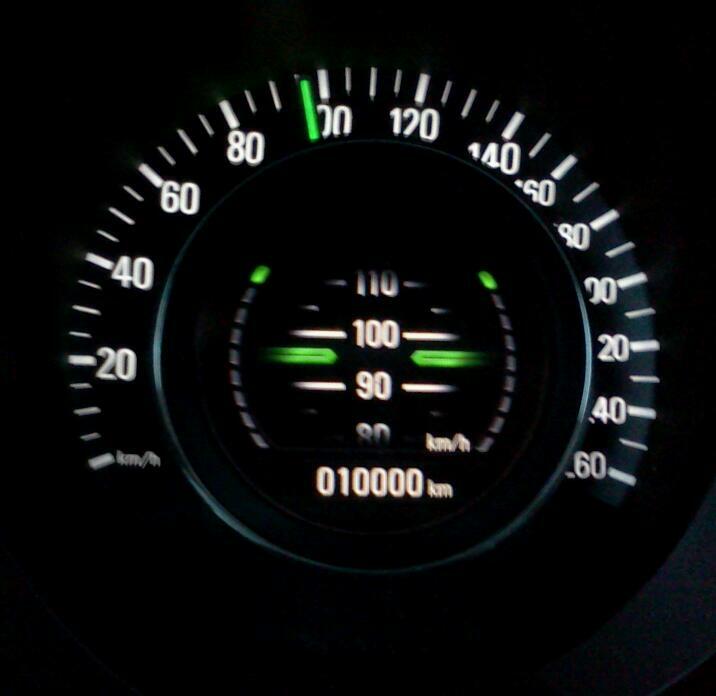 And so my wishes for my next Saab are humble. 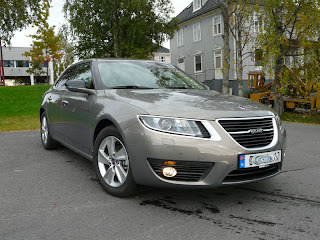 In my next Saab I want a fuel efficient and low emission petrol engine that produces around 150HP. 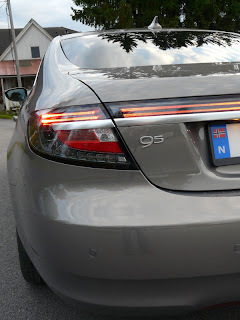 I live in Norway and can't afford a too powerful engine as the taxation of cars is among other factors calculated on the basis of horsepower and co2 emission. It will be nice if Hirsch can get the engine up to 200HP. 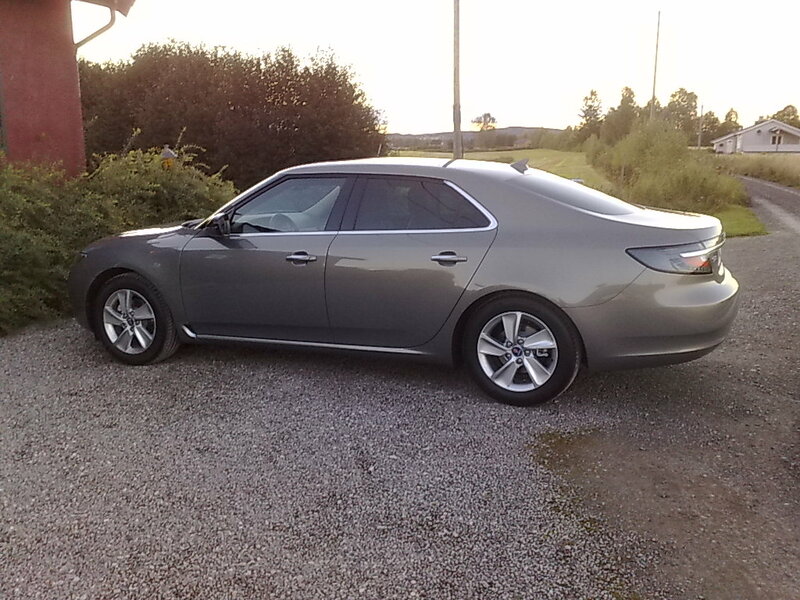 My current Saab 9-5 has a diesel engine, which is a good, but I have to admit that I prefer the smoothness and responsiveness of a petrol engine. 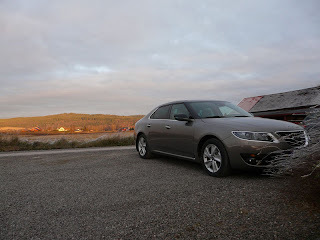 The engine I want in my next Saab should be connected to an automatic or dual clutch transmission, which does not increase the fuel consumption or emissions compared to a manual transmission. If this isn't doable, then I will take a 6-speed manual transmission. My current Saab has front wheel drive. Most of the time I do not need all wheel drive. And when taking added weight and increased fuel consumption into consideration, I'm not sure if I want cross wheel drive at all. 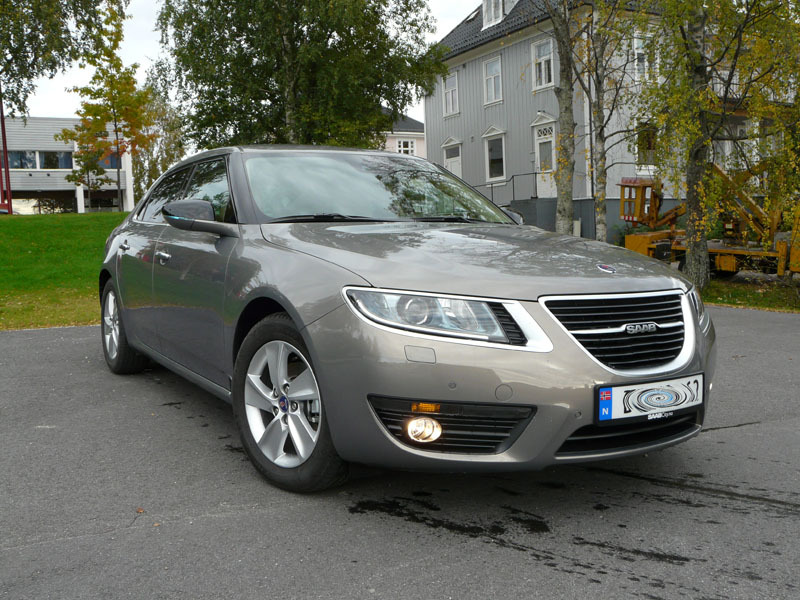 But for my next Saab I want electric cross wheel drive. 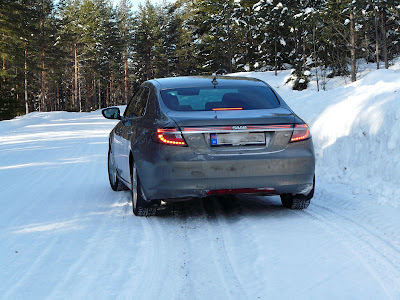 My understanding is that Saab's upcoming electric rear axle does not increase weight all that much and does not increase the fuel consumption. And so I want the eAAM hybrid all wheel drive. 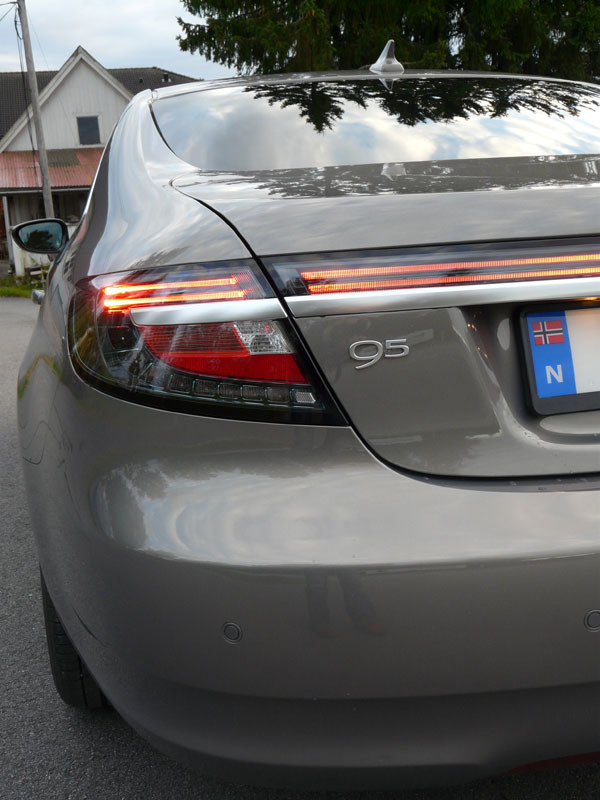 So Saab, please offer this system also with the low output engines! For improved chassis performance, I want the option to get the next generation DriveSense adaptive suspension. At the moment I haven't made up my mind if I want HiperStrut or not. Do I need it? I don't drive my car like a racer driver, so the answer is probably no. But I guess HiperStrut would be nice as an option. Head Up Display is mandatory! 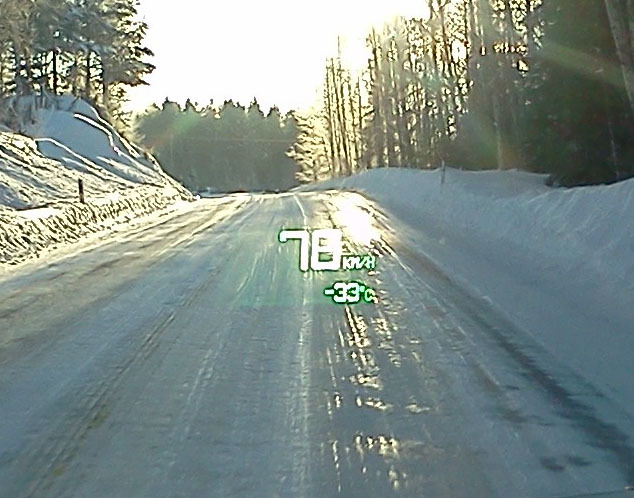 Of all the electronic gadgets in the new Saab 9-5, the Head Up Display is without any doubt the last feature I would part with. 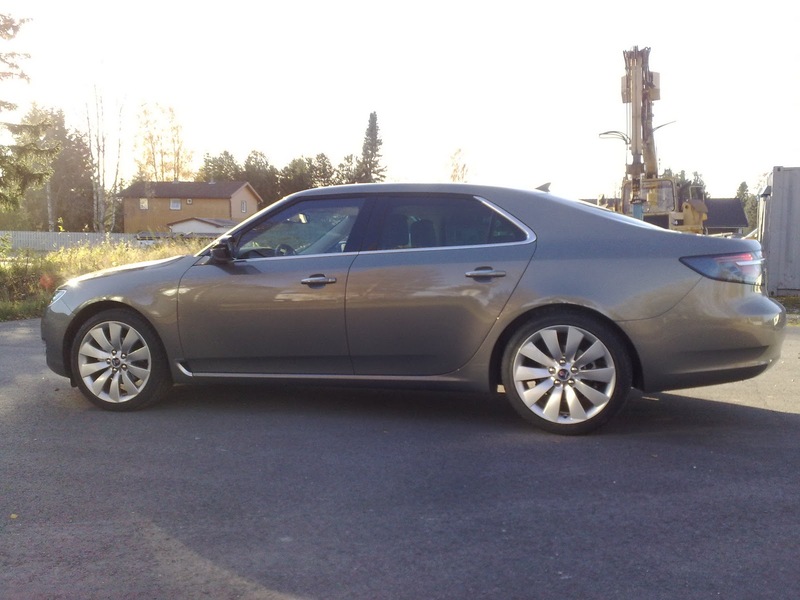 And it's very Saab-like to offer a feature taken from aviation. Just like Saab did with the Night Panel. Apart from the HUD, the most beloved feature in my 9-5 is the keyless entry. It is very nice to not have to get the key to unlock or lock the doors. I just keep the key in my pocket and touch the door handle, that's it! So for my next Saab, I want to stay lazy. For the design of the car, I trust Victor Muller, Jan Åke Jonsson and Jason Castriota. I am sure that they will see to it that the car gets an unique and beautiful design. The only thing I want to say is hatchback.